Terry was raised in the Blue Ridge Mountains of Western North Carolina as you will be able to quickly tell when you first hear him speak. Let’s just say the accent is not from Brooklyn. He believes in the Southern Gentlemanly way of treating people and relationships as it was deeply inbred (not literally) in his upbringing. Treating people with honesty and respect is the philosophy Terry has used in his 30 years of professional life. Terry has worked in the hospitality industry for 30 years, most of which were spent serving as the Controller and CIO at The Grove Park Inn Resort & Spa in Asheville, N.C. He most recently served as the Vice President of Product Management for Cenium, a Hospitality ERP that provides an integrated, resort-wide solution based in Oslo, Norway. Previous to Terry's career in hospitality, he worked as a Finance Officer of a governmental school system and at a local CPA firm. 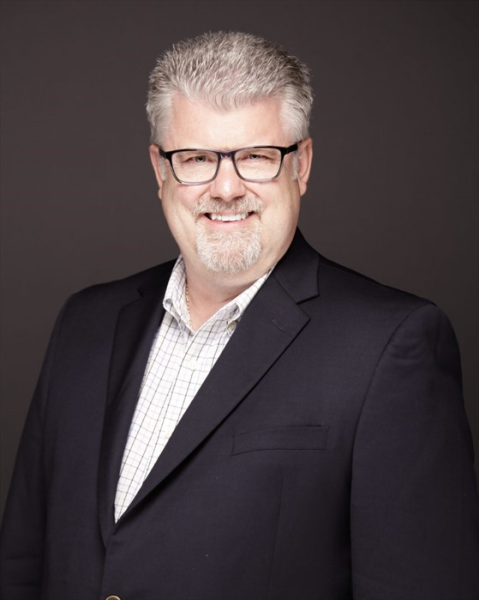 Terry is an active member in The Hospitality Financial and Technology Professionals (HFTP), a 5,000+ member, international association recognized as the spokes group for the finance and technology segment of the hospitality industry. Terry served as HFTP Global President from 2009 to 2010 and toured the world representing the organization. He has given and continues to give numerous presentations with a wide variety of topics at HFTP events. Terry attended Western Carolina University in Cullowhee, N.C. where he received two Bachelor Degrees in Accounting and Computer Information Systems. While at Western Terry served as an officer for the Alpha Kappa Psi business fraternity. He also played the banjo in a bluegrass band that toured around the Western North Carolina region and had the good fortune to play at the 1982 World’s Fair in Knoxville, Tennessee. This is where Terry developed his passion to entertain. Terry feels extremely blessed with the opportunities and the long list of friends that have changed and shaped his and his family’s life. He has a desire to pass those blessings on by sharing his experiences and observations. Terry often says that one of the most exciting moments for him is when he is giving a presentation and he sees someone in the audience “get it.” That is what drives him to be the best motivational speaker he can be. Terry is married to his wife of 32 years. They have 4 children and 4 grandchildren that call them G-Dad and G-Mom. When he is not on a plane keeping Delta in business, Terry enjoys spending time with his wife. They are members of the Western Carolina Catamount Club and the WCU Alumni Board and enjoy going to the football games in the fall (GO CATS!!). They enjoy spending time with their children playing crazy games and feeding the fish while trying to catch them. Terry still enjoys playing the banjo, singing and on occasion tearing up the turf on a golf course.